Costa Rica, being the most popular tourist country in Central America, is the easiest country in the region to get to. There are two major international airports in the country. Juan Santamaria Airport (SJO) is outside of San Jose and the Daniel Oduber Quiros Airport (LIR) is in Liberia in the northern province of Guanacaste. SJO is the bigger airport and receives flights from all over North America, Central/South America, and an increasing number of European cities. LIR serves the prime tourist beaches of Guanacaste and receives flights from North America and some charters from Europe. Plans are in place for a massive airport in the canton of Orotina, about halfway between San Jose and the Central Pacific coast. Once built, this airport will be able to support larger “super-jets” and handle direct flights from Asia. SJO Airport will then revert to a domestic and regional airport under the new plans. Direct flights into Costa Rica into SJO and LIR come from North American cities like Miami, Fort Lauderdale, Houston, Dallas, Atlanta, Charlotte, the DC Area, New York, Los Angeles, Denver, Phoenix, and Toronto. It’s easy to come to Costa Rica from North America. There are also direct flights from European cities like London, Paris, and Madrid. Costa Rica is also accessible by the sea with ports on both sides of the country. Both Limon on the Caribbean and Puntarenas/Caldera on the Pacific cater to cruise ship traffic and serve as entrances and exits to Costa Rica. There are also a couple of small yacht marinas on the Pacific side of Costa Rica that allow people to enter the country with their own boats. Costa Rica shares a land border with Nicaragua in the north and Panama in the south. Each country has border posts that it shares with Costa Rica. In the north, there are two official borders, Peñas Blancas and Las Tablillas. Peñas Blancas is the main land border between Costa Rica and Nicaragua, situated on the Interamerican Highway on the Pacific side. It’s a busy border with locals, tourists, and truckers crossing each way in their thousands each day. Las Tablillas connects Costa Rica with Nicaragua in the middle of the country and is a lot quieter. It’s off the beaten track and puts the traveler into both remote parts of Costa Rica and Nicaragua. As a result, fewer people use it. In the south, there are three border posts between Costa Rica and Panama. The principal one, again on the Interamerican Highway, is on the Pacific side at Paso Canoas. Like it’s counterpart on the Costa Rica/Nicaragua border, it’s very busy. There is also another border in the mountains, close to the Costa Rican town of San Vito. This is the little-used Rio Sereno border and it’s very quiet, like Las Tablillas. The final border post between CR and Panama is on the Caribbean side at Siquirres. This provides access into Costa Rica from the Bocas del Toro islands in Panama. Getting around Costa Rica is an adventure. The first thing to know is that it’s a beautiful country, making it a pleasure to explore. The roads aren’t great, sure, but what does that matter when the scenery is like it is? Driving or flying are the main ways to get around Costa Rica, with a couple of ferry services thrown in as well in certain areas. Driving is hazardous – hazardous enough to b a topic in any safety talk about Costa Rica. The roads and bad and the other drivers can be brutal. But still, as ever, your own car – or a rental – is the best way to explore and see the country. Navigating in CR has always been an issue. With no street signs, for the most part, it’s been tough to figure out where you’re going. Now, of course, GPS has solved that. Many people use Waze or similar apps to get themselves around while driving. Traveling by road in Costa Rica can also be deceptive. The country is small and distances do not look like big deals on maps or GPS systems. But the lack of freeways makes things slow. Most roads are single-lane highways. Add on to that the many trucks on the roads plus the fact that they wind up and down and through mountain ranges. It’s beautiful, sure, but slow. Domestic flights are another way to go in CR. They are cheap and a quick way to get from A to B. Costa Rica has airstrips all over the country, often in remote jungle locations. The light aircraft offer a true Indiana Jones-style adventure. 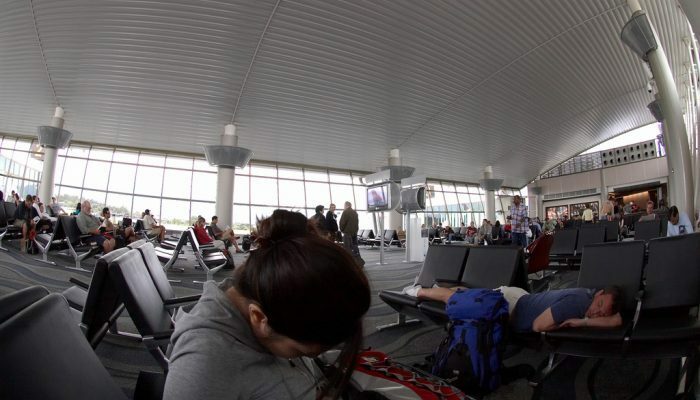 The longest flight between any two destinations in Costa Rica is never going to be more than an hour. The only drawback is that these planes are small. That means you have a limited luggage allowance. As mentioned, there are a few ferry services in operating in Costa Rica too. These run between the mainland and the Nicoya Peninsula in the northwest Pacific, and the mainland and the Osa Peninsula in the southwest Pacific. Ferries are very cheap and offer a great opportunity to stretch your legs while driving around. Other forms of water transport come with various riverboats and pangas that operate in northeastern Costa Rica towards the Tortuguero area. There are no roads here and the rivers are the only way to get around. In the cities, taxis are plentiful and are recognizable by their red color and yellow triangle on the doors. They can be hailed in the street. 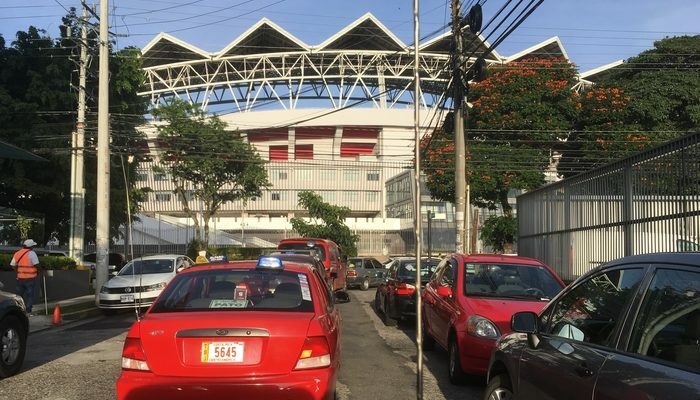 Uber is also available in Costa Rica – mainly in the Central Valley – for those who have downloaded the app and works exactly the same as everywhere else. 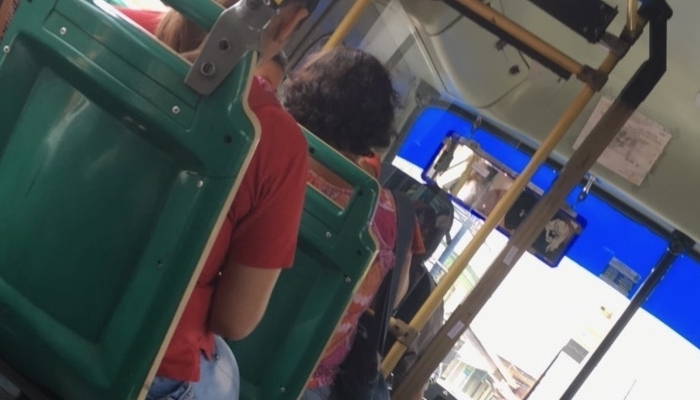 Public transport is super-cheap in Costa Rica. The bus services are extensive, both in the cities and as a way of getting around the country. No bus ride from one end of CR to another should cost any more than $15 at the most, and local city buses will cost mere cents. Costa Rica might well be the safest country in Central America, but that higher level of safety comes at a price. It’s also the most expensive country in Central America. Only Belize comes close in comparison. Of course, the terms “expensive” and “cheap” are relative. It all depends on what you’re comparing with. Costa Rica is more expensive than many parts of the US, for example. But much cheaper than Miami, NYC or San Francisco. It’s cheaper than the UK but often more expensive than other parts of Europe such as Spain. 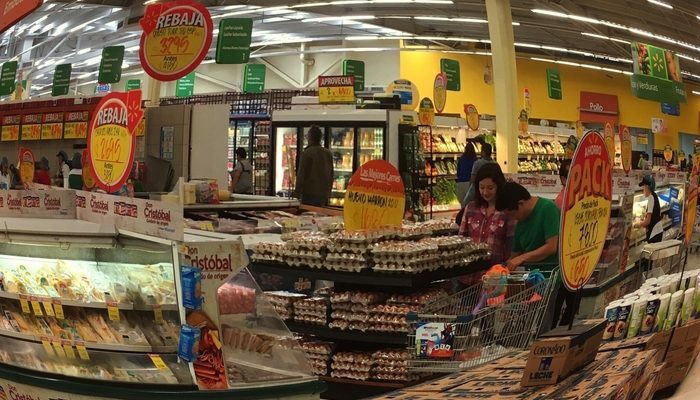 Many expats and visitors to CR are, nonetheless, shocked at the prices for even the most basic items. To get a basic grip on the cost of living in Costa Rica, it’s worth looking at where people spend their money. Food/groceries, rent/accommodation, utilities/services, and health care. Out of these categories, only two are cheaper than most parts of the US – rent/accommodation and healthcare. The other two are either equal or more expensive, and that can come as a shock to many. A weekly food bill for two people can hit $100 per week. This can come down by buying in local markets and eating a rice and bean-based, Tico diet. Unfortunately, for many, that diet can get old day after day. So a few splurges at the supermarket can bring the spending back up. Meat and cheese are expensive, with a block of cheddar, for example, costing between $10 and $20. Utilities and bills, too, can be expensive. Cable bills, gas for your car, having a car in the first place all adds up to more than it would in the US. But rent is cheap. A nice house can go (depending on the area, of course) for between $600 and $1,000 per month. This is way cheaper than the US. Labor is cheap, too, so having a housecleaner or a maid is not unaffordable. Healthcare and dental costs are far lower than in the US. A comprehensive set of dental work, for example, costing $10,000 in the States can be had for between $1,000 and $2,000 in Costa Rica. Traveling around is cheap. Especially with public transport. Hotels are inexpensive compared to the US, or to “luxury destinations” around the world. But expensive compared to other parts of Central America outside of Belize. Most people can live in Costa Rica, renting or owning a nice home, running a car, shopping where they want and eating out a couple of times a month for between $2,000 and $3,000 per month. People do it for less, of course. Many people. Many people also do it for a lot more. But for a comfortable life in Costa Rica, not missing out on all the treats and luxuries, $2K-$3K per month is about the average. Costa Rica is the safest country in Central America. But – and here’s the reality dose – it’s still Central America. This is one of the most dangerous regions in the world when it comes to every kind of statistic that you can think of. This does NOT mean that the region is too dangerous to visit or to live in. It does mean that precautions should be taken, though, and that includes Costa Rica. Crime in Costa Rica has been on the rise for some time and it’s a source of concern for many Ticos and foreigners. But it’s important to have perspective. The majority of crime is still opportunistic and non-violent. Bag snatching, pickpocketing, petty theft. The simplest precautions can protect against this type of crime. But it’s no good sugar coating the serious stuff. It does happen occasionally, and people can become victims of home invasions or muggings or worse. Even these crimes are preventable with common sense and security measures. But make no mistake, Costa Rica is a country where security measures are needed. One thing that many first-timers comment on when they come to Costa Rica (or Latin America in general) is that all the homes have bars on the windows. These bars are there for a reason. Costa Rica has escaped much of the drug and gang violence that has plagued other parts of the region. There is no comparison between Costa Rica and parts of, say, Mexico. With that said, many major cities – particularly San Jose and Limon – have areas where a tourist or foreign resident has no business being in. Take care to avoid these areas. 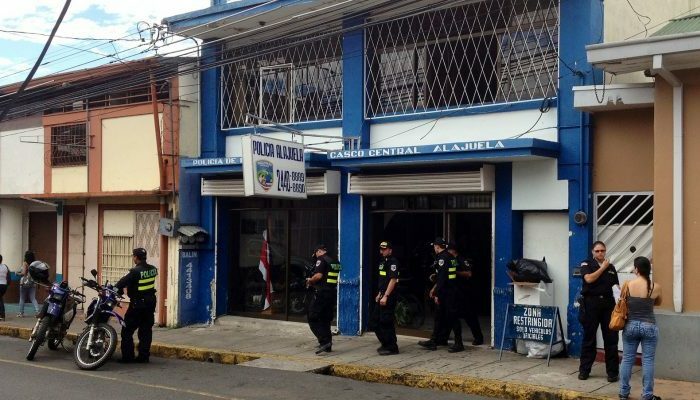 The police in Costa Rica are underfunded, underpaid and under-visible. Most Costa Ricans have no faith in them whatsoever. All in all, to be safe in Costa Rica means being alert and informed and knowing where you should or should not be. The vast majority of visitors to Costa Rica have no problems whatsoever and that should always be remembered. Outside of crime, the main danger to safety in Costa Rica is the roads. Driving in Costa Rica can be hazardous, to say the least. Roads are ill-maintained and snake through high mountains. The rainy season can be brutal to drive in and Costa Rican motorists are aggressive. Driving at night is not recommended in CR. But whatever time of day or night you’re driving, take caution. Costa Rica is also susceptible to tropical diseases. Malaria, dengue fever, chikungunya and the zika virus are all here. Outbreaks of any of these mosquito-borne diseases are rare enough to make the local news when they happen, though.